A "Snoopy" award from Astronaut Al Worden. Letter of commendation from Astronaut James Lovell. Letter of commendation from George M. Low, Manager Apollo Spacecraft program-MSC and Astronaut Donald Slayton. Gary L. Steinbeck began his career with the U.S. Navy as a electronics technician for shipboard electronics equipment consisting of radar, communications, and sonar. He served most of his Navy time aboard a radar picket ship, the USS Fessenden DER-142 on both the East and West coasts. He joined Collins Radio Company in Cedar Rapids, Iowa after discharge from the Navy in 1958 as a Senior Laboratory Technician. Tasks included conducting electrical tests and measurements including environmental and life tests on all types of electronic components. Later he became a Field Service Engineer providing technical assistance and support on Collins equipment for military and commercial field service engineers. He also served as a technical information center for other departments and divisions within Collins Radio. Other assignments included writing Service Bulletins and Service Information Letters. 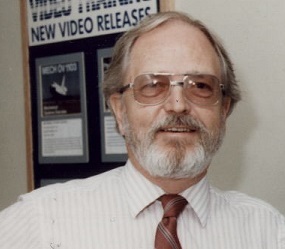 In 1965, he was assigned to the Collins Radio Company Training Department as an instructor to teach Collins equipment to military and commercial customers. 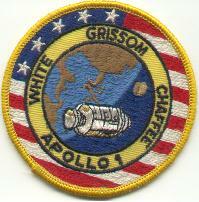 Later he was assigned to North American Aviation under contract to teach Apollo equipment. He was transferred from Collins Radio Company in Cedar Rapids, Iowa to North American Space and Information Systems Div. in Downey, California to train NASA Astronauts, Flight controllers, and various contractor engineers and technicians on the Telecommunications System. In 1966, he joined North American Aviation as a Customer Training Specialist to provide training and training support documentation on the Apollo spacecraft to NASA Astronauts, Flight controllers, management, and engineering personnel. Documentation included the Apollo Operations Handbook, Skylab Operations Handbook, Apollo/Soyuz Test Project, and development of video tape recordings and programmed instruction material. He provided training for the Russian Cosmonauts on the Apollo/Soyuz Test Project. He also was assigned to the Public Relations department for technical support during Apollo and Skylab missions. This included briefings and interviews for various radio and television networks. After completion of the Apollo Program, Gary was transferred to the Johnson Space Center in Houston, Texas in 1975 for continued training support for the Shuttle Program. Gary is now retired in his home state of Iowa, and keeping in touch with his old friends and cohorts on the Internet and Amateur radio (W0SDI).